Spring fever is in the air! 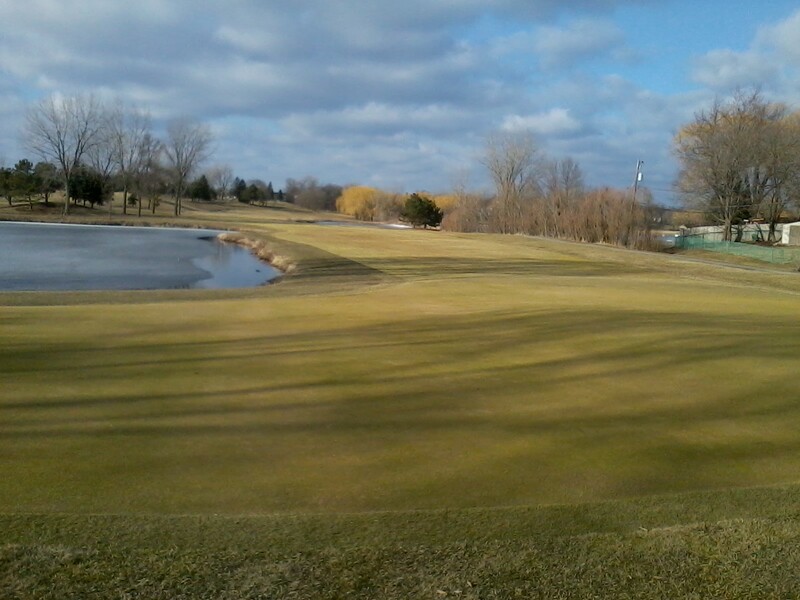 March 11 was the official first day of Hilldale Golf Club’s 2011 season. Welcome back everyone…after another hard Chicago winter (I know, it’s probably not over yet) that saw one of the five worst blizzards in the last 100 years, it was great to see you enjoying the course this weekend. With a seven day forecast showing several days in the 50’s or even 60’s, the coming week should allow for more opportunities to start working on your swing. I’m extremely happy with the condition of the golf course…but it’s still a little early to say we’re out of the woods concerning the potential for winter damage (knock on wood, please). Spring cleanup efforts are well under way with the usual clearing of liter, leaves, sticks, branches, and geese droppings…greens and tees were cleaned off prior to opening, and we’ll begin removing debris from fairways this week. Greens will be mowed later this week..I’ll soon post pictures of that process along with a few of the golf course during the first week of play. This entry was posted on Monday, March 14th, 2011 at 10:10 pm and is filed under Uncategorized. You can follow any responses to this entry through the RSS 2.0 feed. You can leave a response, or trackback from your own site.